Wacom Cintiq Pro 32 is the ultimate pen-on-screen experience for the next generation of artists, designers and illustrators. Our new larger than ever screens set a whole new standard with breakthrough levels of performance and precision. The Wacom Cintiq Pro 32in 4K displays shine even more brightly with a billion colours to deliver spectacular true-to-life images. The all-new 32in models feature edge-to-edge glass with more canvas to create. Wacom Cintiq Pro is the ultimate pen-on-screen experience for the next generation of artists, designers and illustrators. Our new larger than ever screens set a whole new standard with breakthrough levels of performance and precision. Wacom Pro Pen 2 creates a smooth and natural experience so you can draw and design with pixel-perfect precision. Use Wacom Cintiq Pro 24 Creative Pen Display for absolute harmony with your work. Premium 4K screen with world class color performance, and virtually no parallax, enhance every creative breakthrough. The Wacom Pro Pen 2 provides state-of-the-art creative pen technology, meaning every stroke, every move of your hand is followed with unerring accuracy. Connect Cintiq Pro Creative Pen Display to your Mac or PC with the included USB-C cable or use the included Wacom Link and cables to connect via Mini DisplayPort or standard USB. Creative freedom in a powerful mobile studio. 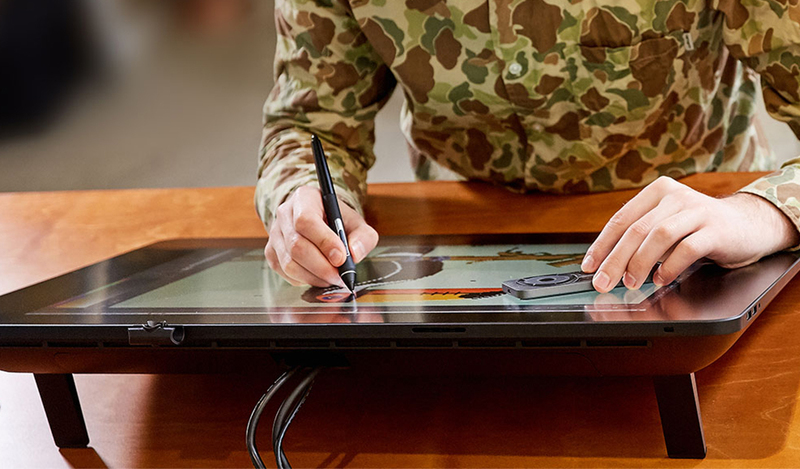 Both configurations feature 4x higher pen accuracy and pressure sensitivity, the computing power to run demanding creative 2D, 3D and CAD software, and high display resolution (3840 x 2160) and colour quality (94% Adobe RGB). The MobileStudio Pro 16 also features discrete NVIDIA Quadro graphics for use in high performance 3D, video and creative workflows. In addition to a complete range of creative features such as customizable ExpressKeys and multi-touch controls, there is also a model with an integrated Intel RealSense camera for capturing 3D scans. MobileStudio Pro 16 is the powerful creative studio that you can take anywhere. Designed for professionals who want the freedom to create anywhere, Wacom MobileStudio Pro 13 packs an entire studio full of powerful creative tools into a line of lightweight 13.3in mobile pen computers. All three models feature 4x higher pen accuracy and pressure sensitivity, computing power configurations capable of running demanding creative 2D, 3D and CAD software, high resolution displays (2560 x 1440) and exceptional colour performance (96% Adobe RGB) in a mobile display. In addition to a complete range of creative features such as customizable ExpressKeys and multi-touch controls, there is also a model with an integrated Intel RealSense camera for capturing 3D scans. MobileStudio Pro 13 is the only creative tool you need to carry. Experience the power of a high-performance Cintiq in a compact, slim design. The Cintiq 13HD provides artists, designers, illustrators and photographers a premium, pen-on-screen experience on a 13.3in, high-resolution, HD (1920x1080) display. The compact size and adjustable stand let you position the display in a variety of ergonomic positions. Use it flat on your desktop, hold it in your lap like a sketchbook or attach it to the adjustable stand for 3-different working angles. The wide viewing angle (178°) and the ability to render 16.7 million colors assure that your creative work will look great in any working position. With a resolution of up to 4K and a wide-gamut display (color accuracy up to 94% of Adobe® RGB), you’ll be able to see your work in life-like detail. Drawing on the etched-glass surface gives you a natural pen-on-paper feel with the perfect amount of pen tip friction. It’s so natural that you’ll almost forget you’re drawing on a screen. If you want more space to create, Wacom Cintiq Pro 16 has a Up to 4K (3840 x 2160px) resolution and 94% Adobe® RGB color accuracy – perfect for the most demanding painting and retouching jobs. 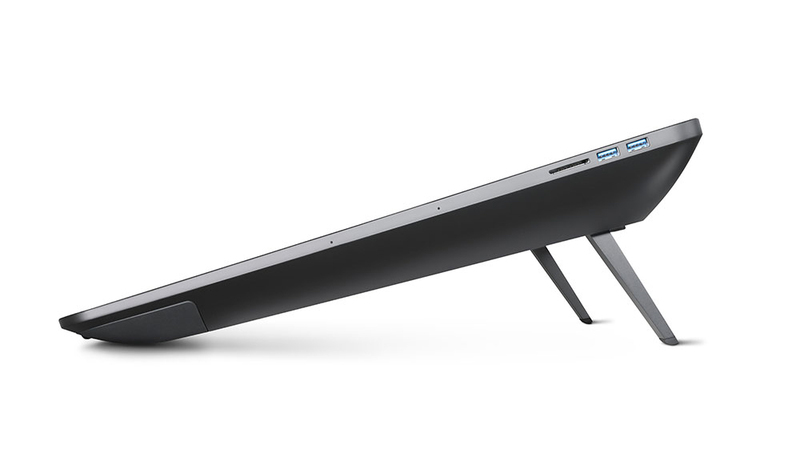 Both models come with fold-out legs for a comfortable drawing angle. The Cintiq 22HD combines a 21.5 inch HD, wide-format LCD with industry-leading pen input capabilities, all in a traditional desktop display. Photographers, designers, artists and other creative professionals can work naturally and intuitively directly on the surface of the display, while enjoying all the creative and efficiency gains that make Cintiq the first choice among professionals. The Cintiq 27QHD creative pen display sets a new standard in color and resolution. The most natural form of creative expression meets an advanced interface design that re-imagines the creative workflow so you don't have to adapt to the tool—the tool adapts to you. Work with hands-on fluidity as you create with a pressure-sensitive pendirectly on an expansive, edgeless glass display. The Cintiq 27QHD's 27” widescreen 16:9 display offers the highest resolution of any Cintiq (2560 x 1440). Featuring 97% RGB, 1.07 billion colors and REC 709, this premium color display is the ultimate tool for color sensitive workflows. There is no need for a secondary color reference monitor. Some artists and designers work only digitally, while others start on paper. The new Intuos Pro line lets you do both. For all-digital work, choose the standard Intuos Pro. To sketch on paper and refine digitally, select the revolutionary Intuos Pro Paper Edition. Wacom Intuos Pro sets a new standard for professional pen tablets. The new Wacom Pro Pen 2 features impressive pressure-sensitivity, tilt-response and virtually lag-free tracking. Get natural creative control while you illustrate, edit or design digitally with Intuos Pro. The Paper Edition combines the Intuos Pro tablet with a detachable Paper Clip and Finetip Pen. Clip your drawing paper on the tablet and sketch. While you sketch on paper, an editable version is captured and stored on the tablet. You don’t need to be online or connected to a computer when you are sketching, so work anywhere, anytime. Gain precision and control, speed your workflow, and take advantage of all the pressure-sensitive capabilities in your favourite creative software, thanks to the innovations built into the Intuos Pro. Student pricing available. Call for details. Unleash your creativity with the new Intuos. It includes Wacom’s leading pen tablet technology, free downloadable creative software and online training. So whether your dream is starting your portfolio, racking up some ‘likes’, or pushing the limits of creativity, Intuos has everything you need to make it happen. 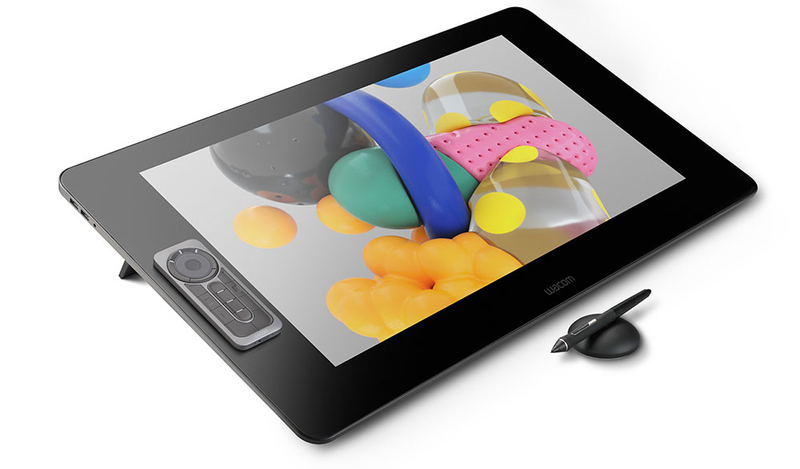 If you can dream it up, the Intuos Creative Stylus 2 from Wacom can help you bring it to life. It’s ergonomically designed for creative professionals with a thin pressure-sensitive tip that lets you draw, sketch and paint on your iPad with the intuitive and natural feel of pens and brushes. Monthly news, specials and updates. Thank you for subscribing to Carbon Copy!